Set in landscaped grounds, this exclusive, architect designed home offers a stylish indoor / outdoor lifestyle located in the increasingly popular Wigram Skies Subdivision. Spacious, light and airy, this open plan living / dining / kitchen with high ceilings, flows seamlessly out to a private timber patio, with motorised louvres, enabling all-year-round outdoor enjoyment. Radiating from the main living area are 3 double bedrooms plus a study nook. An effortless sense of designer style brings to light, a well-appointed, ultra-modern residence with quality fixtures and fittings throughout. This 202 m² home (including under cover patio) is close to perfection, complete with reverse cycle heating/cooling, electric underfloor heating to both bathrooms, security system and irrigation system throughout gardens. The balance of a 10 year Home First Builders Guarantee is included (subject to approval). Be the first to live in and enjoy this highly spec'd home. 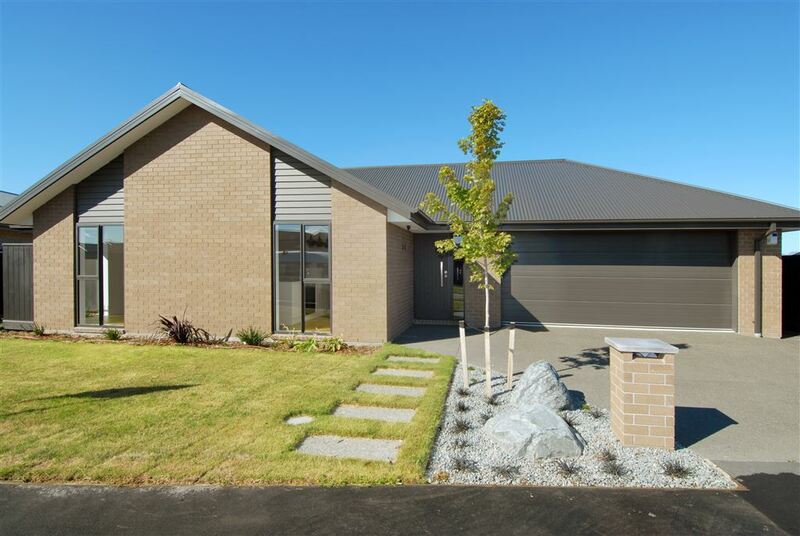 This information has been sourced from RPNZ/ Property Guru/ Land Information New Zealand/ Christchurch City Council/ CERA/Building Company and purchasers should verify the accuracy of the same.